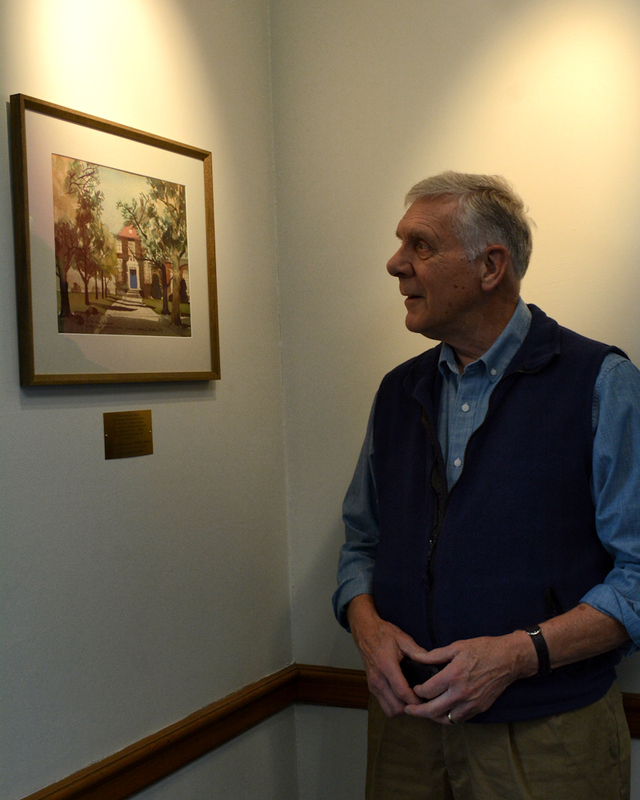 Rick Teller grew up on the Williston Academy campus and is a member of the illustrious Class of 1970. He studied music, religion, and history at Vassar College ('74) and librarianship and ethnomusicology at the University of Michigan (AMLS, '78). 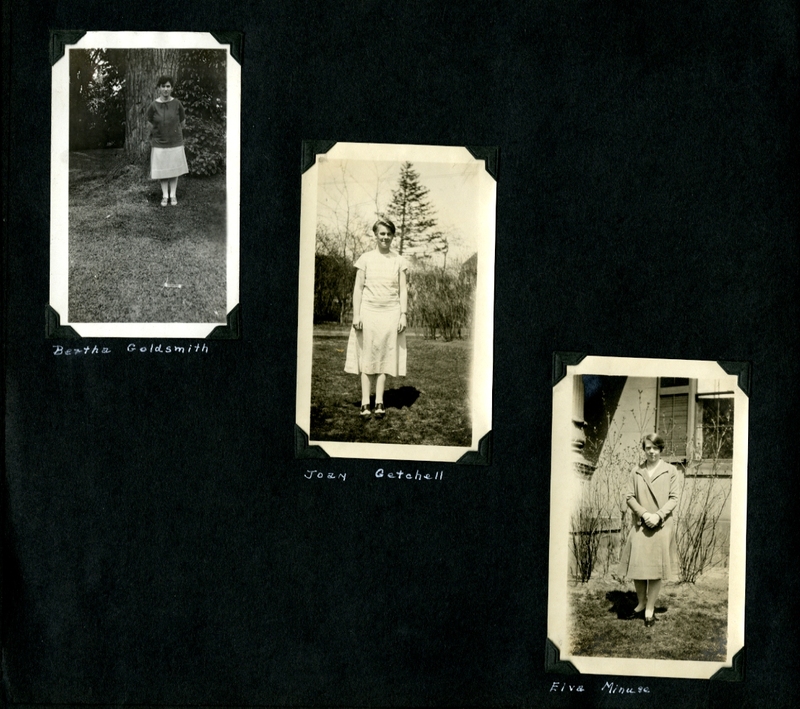 He is a librarian at Williston Northampton and, since 1995, the school's archivist. 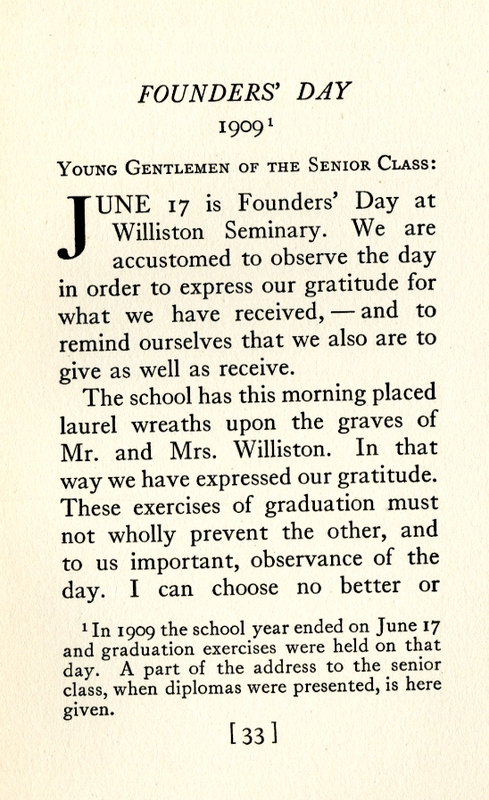 According to most evidence, Williston Seminary began to celebrate Founders’ Day shortly after Samuel Williston’s death in 1874. The original tradition was to commemorate the Founder on or close to his birthday, June 17. 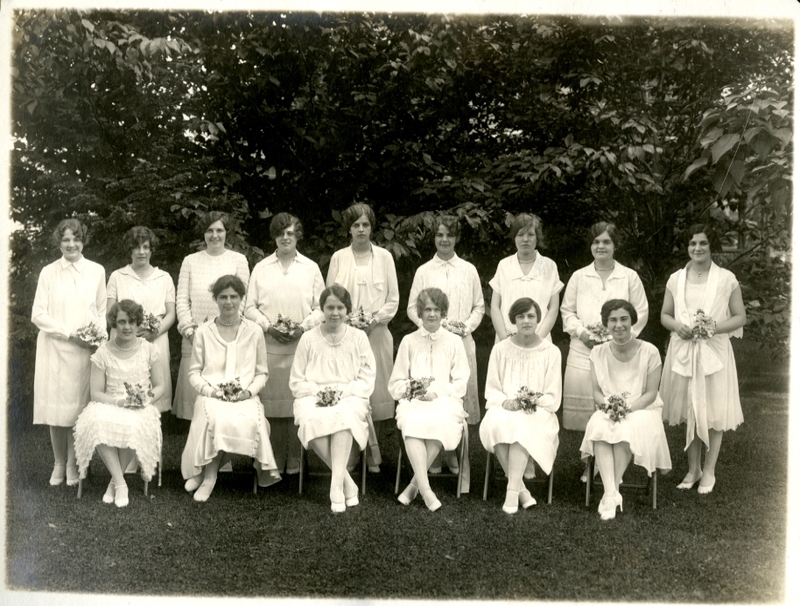 Typically it was one element of Senior Week, which culminated with graduation exercises. It was a major event. 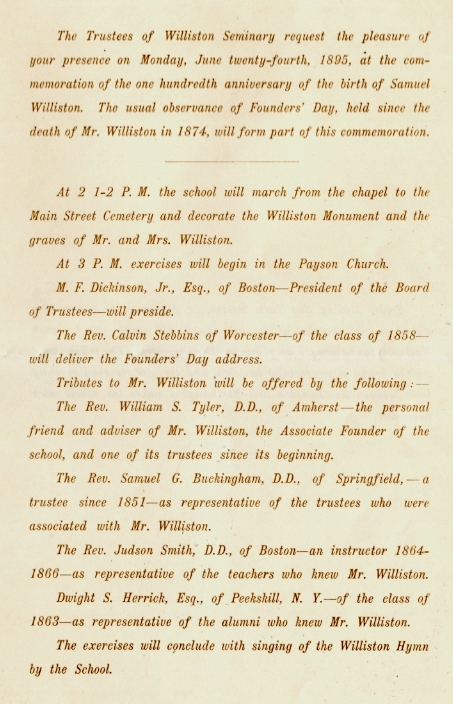 The oldest surviving program, from 1895, presents a full afternoon of wreath-laying and speeches. 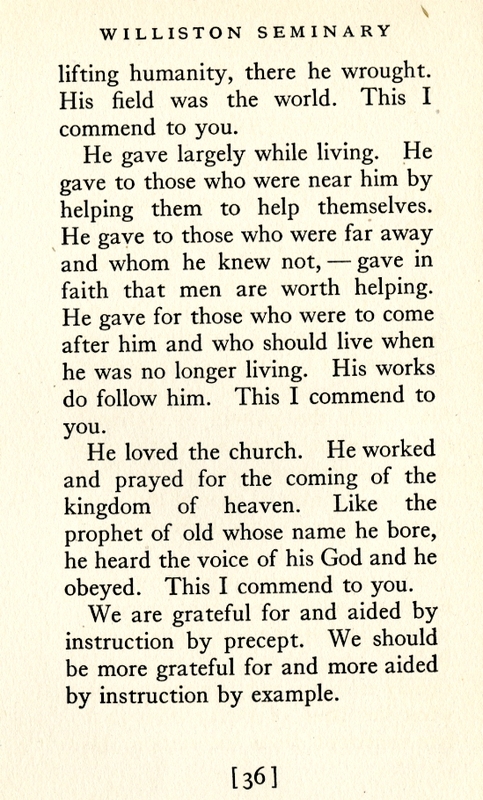 The Founders’ Day program, 1895. Some form of the event survived into the 1970s. By mid-century, it had been moved to a date earlier in the spring. 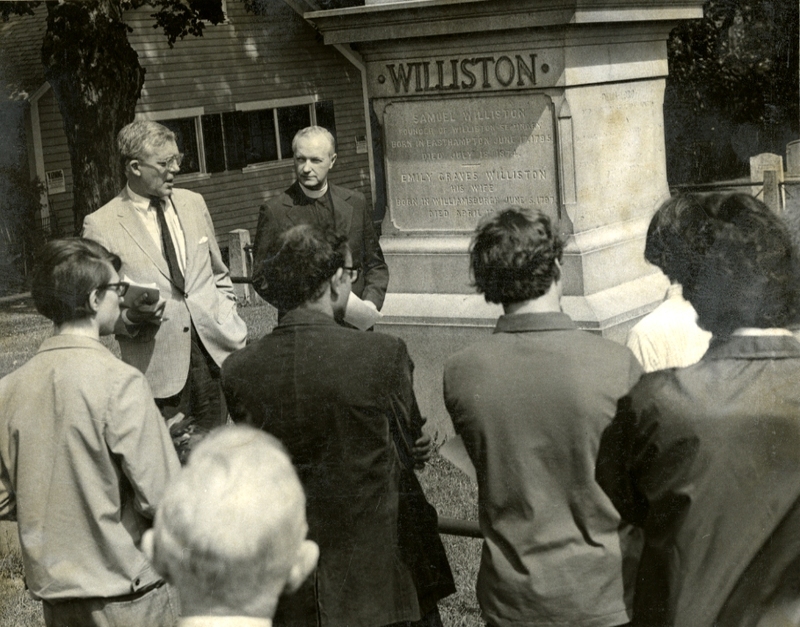 The school assembled at the Williston gravesite in the Main Street Cemetery, where either the Headmaster or Dean A. L. Hepworth would talk about the Willistons, and typically many of the other former heads and faculty interred nearby. At the gravesite, probably 1970. Headmaster Phillips Stevens and Chaplain Roger A. Barnett. May, 1966. 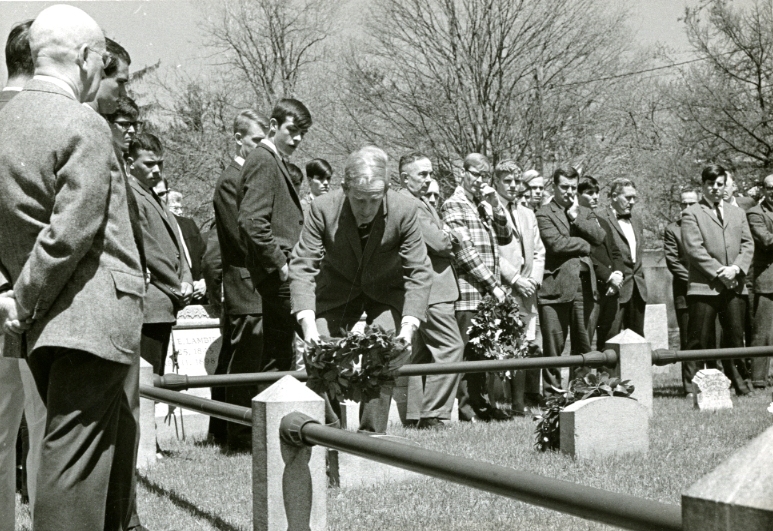 Teacher Peter Rowe lays a wreath on Emily Williston’s grave. Other identifiable faculty include, from left, Frank Putnam, Yves Couderc (center, behind Mr. Rowe), Daniel Carpenter, A. L. Hepworth, Wilmot Babcock (partially obscured), and Alan Shaler (on the right margin). 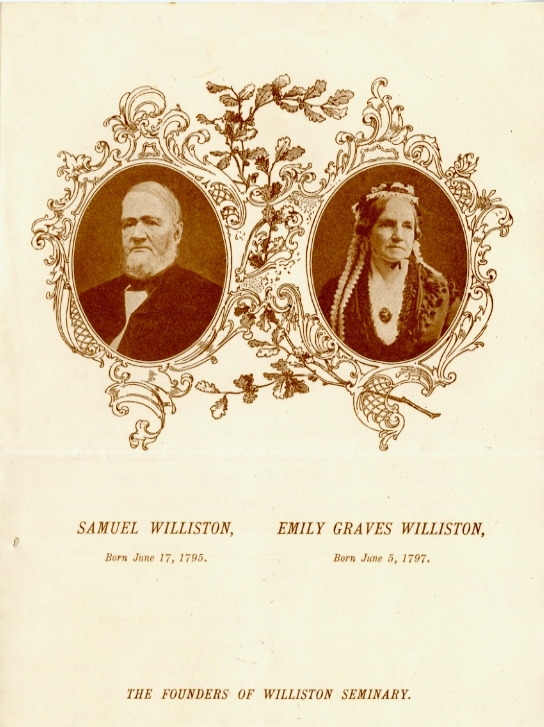 In 2016, during Williston Northampton’s 175th Anniversary celebration, Founders’ Day was revived, now as a February event celebrating the tradition of giving that was so much a part of who Samuel and Emily Williston were. 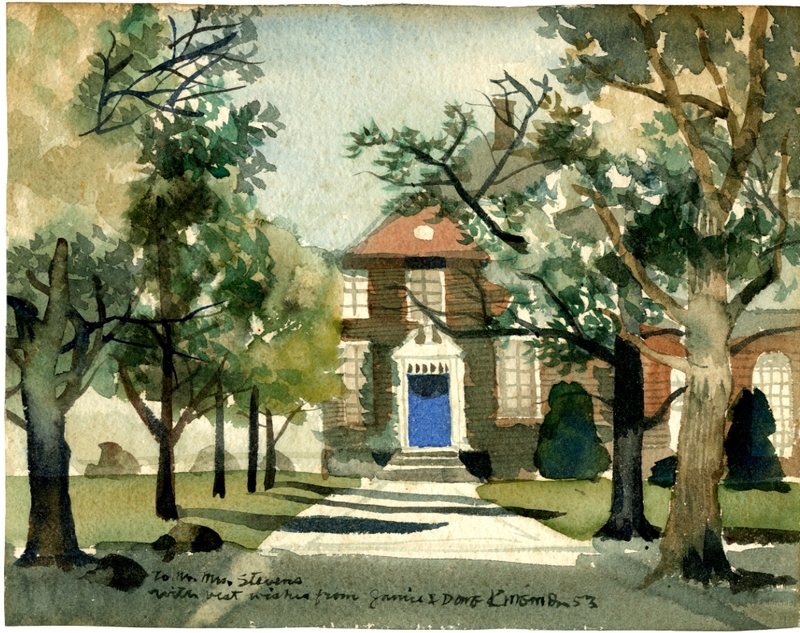 It has become a major element in the School’s annual Advancement effort. 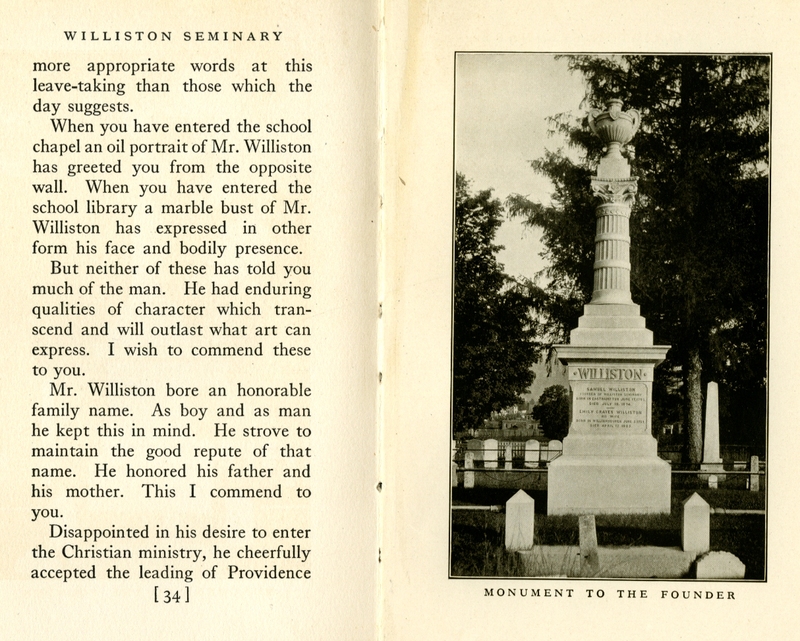 On February 20, 2019, our goal was to inspire 1,178 donors — for Williston’s 178th year. Achieving that participation target triggered an additional $75,000 challenge grant, while several classes and the Williston Parents created incentives of their own. By the end of the day we had vastly exceeded expectations, as nearly 1,400 alumni, parents, faculty, students, and friends realized almost $400,000. 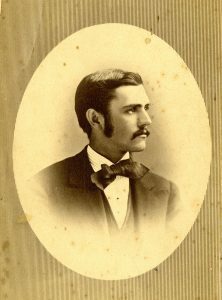 For Headmaster Joseph Henry Sawyer, who joined the faculty in 1866 and led the school from 1884-1886 and 1895-1919, Founders’ Day was especially meaningful. 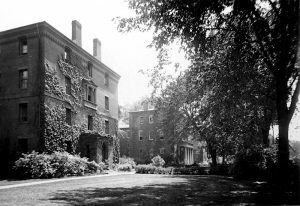 After all, he had known Emily and Samuel Williston personally, as well as most of the other major figures from the school’s early years. 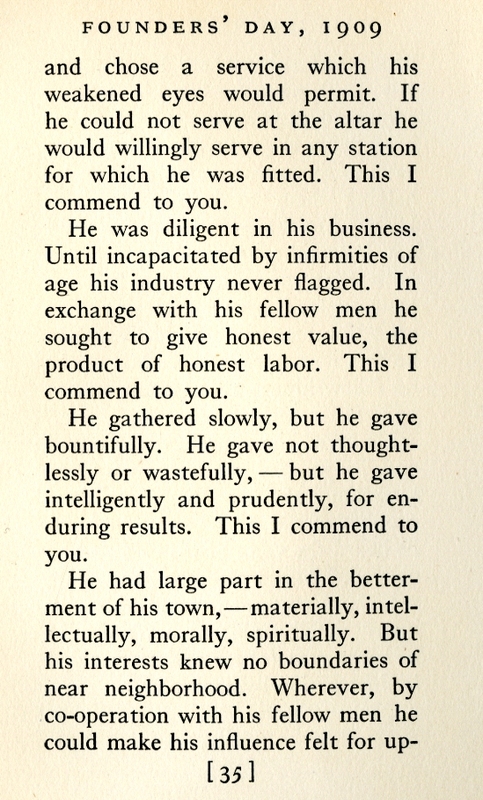 In 1911 his friend Herbert M. Plimpton, class of 1878, published several of Sawyer’s Founders’ Day addresses. 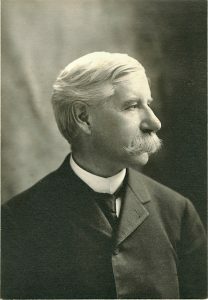 In the fall of 1931 the Reverend Dr. Harlan G. Mendenhall, Williston Seminary class of 1870 (Classical), visited the campus. 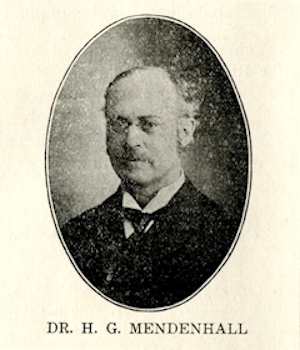 Aged 80, Mendenhall was considered the “grand old man” of American Presbyterianism, having served in parishes all over the U.S., risen to the highest levels of the New York Presbytery, and was, in 1931, still not retired. Dr. Mendenhall brought with him a variety of documents from his student days, including a copy of the 1869 Salmagundi, Williston’s first senior yearbook, which he had co-edited, and a scrapbook of his student writings as a member of Adelphi, the school’s literary and debating society. He also sat down with The Willistonian for an extended interview, reproduced at length in the issue of October 21. 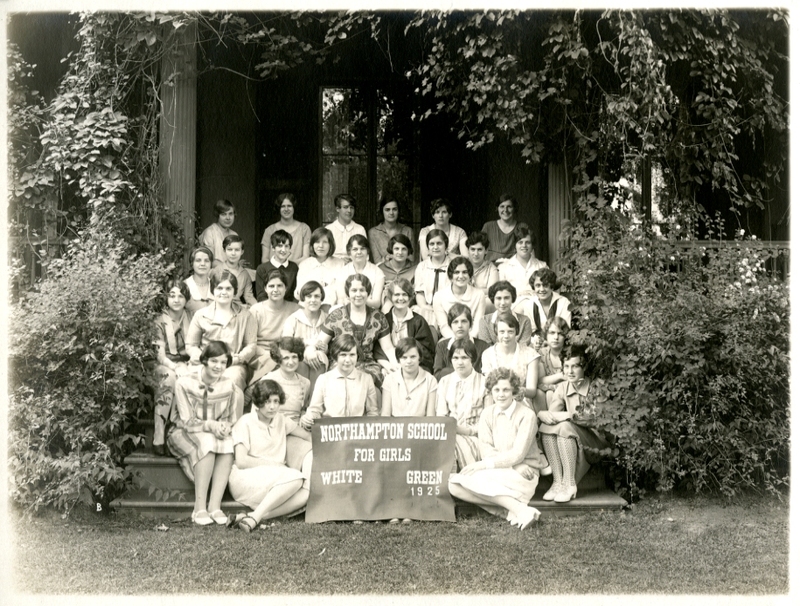 Conversation focused on how the school had changed in more than five decades – and took a surprising turn. Lyman W. Redington, class of 1866 and again, 1869. We have found no evidence of anyone else ever completing both the Classical and Scientific curricula, with a year of college separating them.